Taille de cet aperçu : 415 × 599 pixels. Autres résolutions : 166 × 240 pixels | 1 422 × 2 052 pixels. 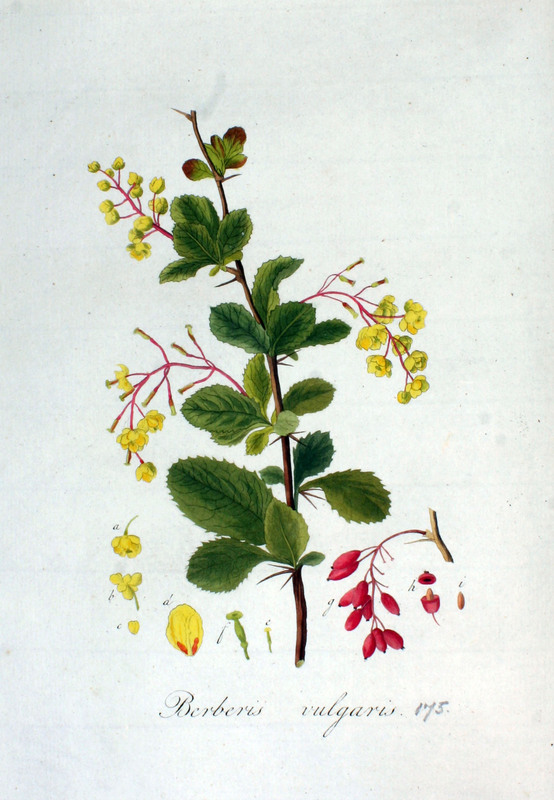 This media item is originally from http://commons.wikimedia.org/wiki/File:Berberis_vulgaris_—_Flora_Batava_—_Volume_v3.jpg, last uploaded by FloraUploadR; it was copied to a local repository as a caching mechanism to speed up page rendering and to prevent links to break when media items are renamed on commons. For a full list of earlier authors and contributors please refer to the file version history and the metadata version history in the repository from which this media item has been copied. The permission for use of this work has been archived in the Wikimedia OTRS system. It is available as ticket #2012032910008802 for users with an OTRS account. If you wish to reuse this work elsewhere, please read the instructions at COM:REUSE. If you are a Commons user and wish to confirm the permission, please leave a note at the OTRS noticeboard. If parts or graphics are used, we request you to mention www.BioLib.de as the source of the data.